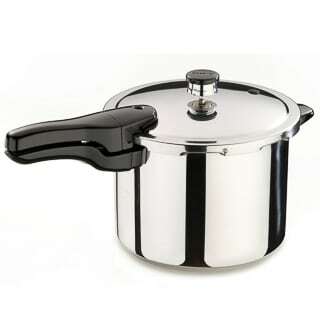 I love everything about a pressure cooker, and this one is my favorite! 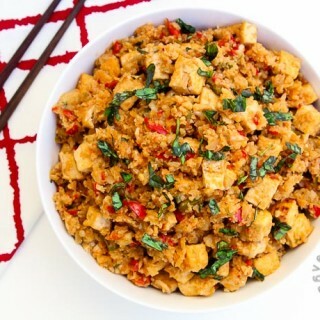 Cooks fast, keeps the nutrients in, and easy to use! 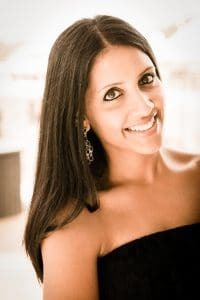 Check out my pressure cooker post! 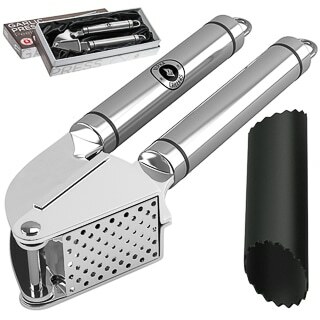 I LOVE garlic, so it's probably safe to say that I love my garlic press! 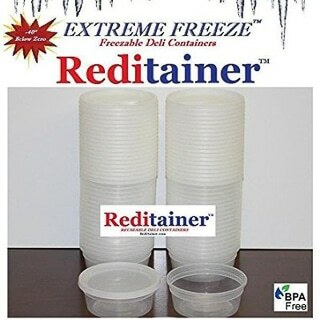 Extreme Freezer Deli Food Containers, 32oz. These deli containers are perfect for food storage! 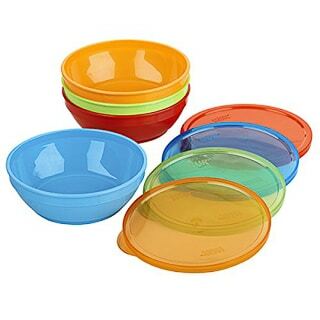 I own all three sizes and use them for freezer food storage! 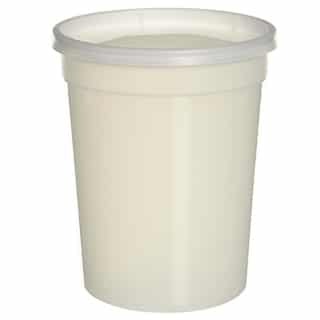 Extreme Freezer Deli Food Containers, 16oz. 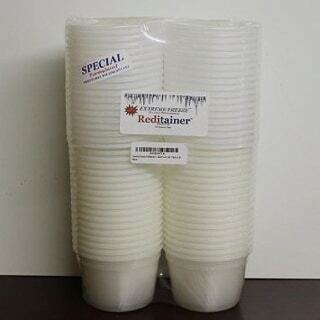 Extreme Freezer Deli Food Containers, 8oz. I've been using these pans for years! 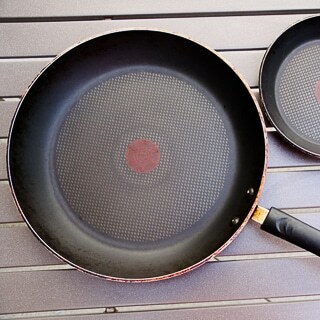 Great price and quality, work well for everything, and they really are completely nonstick! 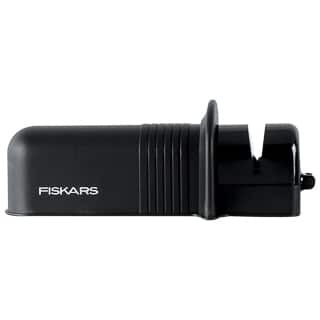 This tool is great for easily sharpening any knife! It's amazing what a little sharpening can cut through in the kitchen. 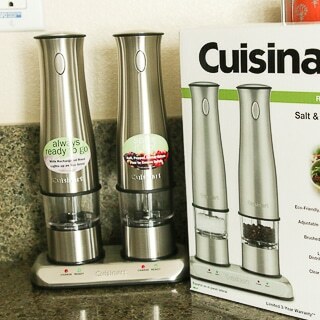 Chop veggies and fruit twice as fast with one swift motion, easy to clean, dishwasher safe, and comes with two sizes. 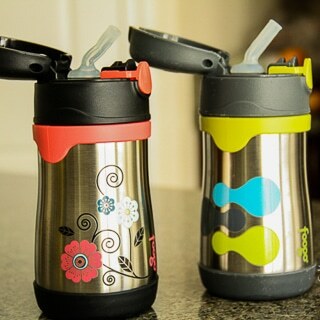 Easy flip-open cap for kids to use, hook is perfect for holding, easy to clean. 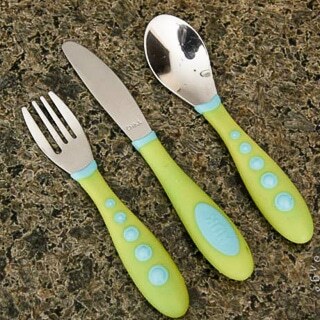 This is my 5 year old's favorite utensil set! 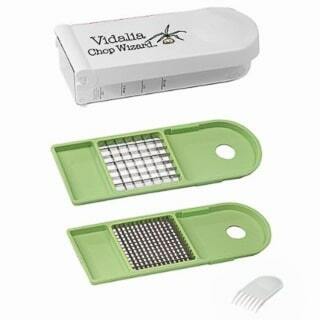 It's the perfect size, easy to use, and gets them used to stainless steel. 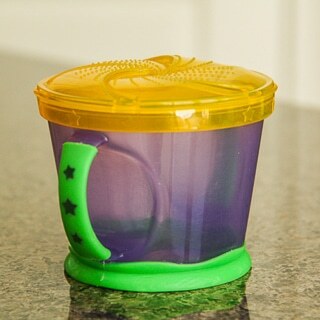 This snack catcher is great for little ones just starting to feed themselves. It keeps the snacks in, and keeps them occupied! 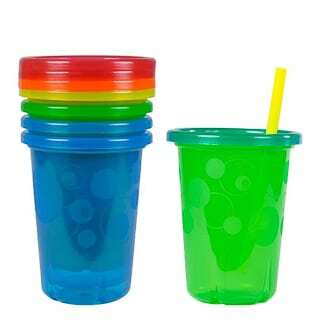 I was surprised at how hard it was to sip through kids straw bottles, until I found these. 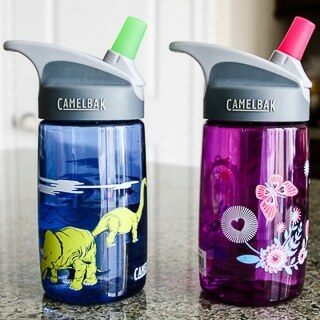 They are easy to drink from and clean, and leak-proof when closed! 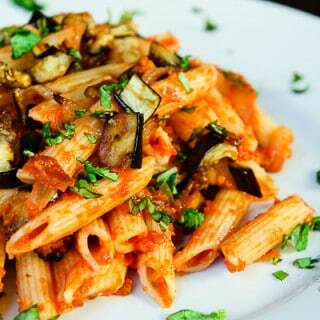 Perfect to pack snacks on the go or enjoy at home. 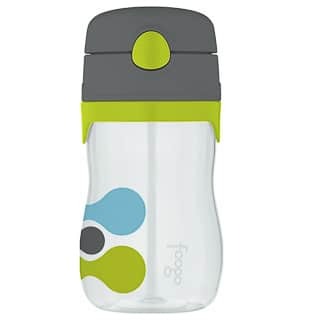 Leak-proof lids, dishwasher safe, and freezer-safe. They are durable (we actually use these over and over), and perfect to take on travel or simply use at home. 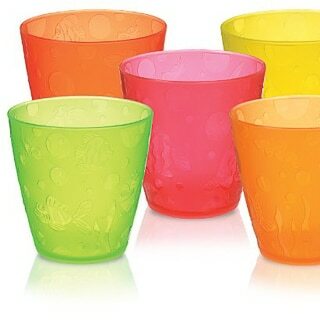 The Munchkin cups are very basic but perfect for toddlers and kids who want to transition to using adult-like cups. 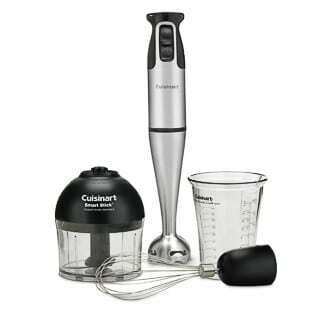 This hand blender/chopper is extremely useful and very easy to use. For those (like us) who go through tons freshly ground black pepper. Rechargeable. 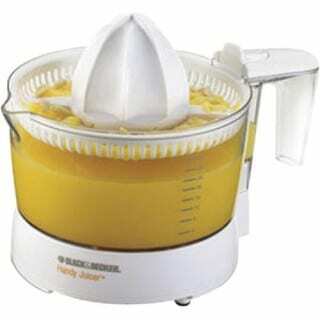 Quick and simple way to enjoy freshly squeezed orange juice.